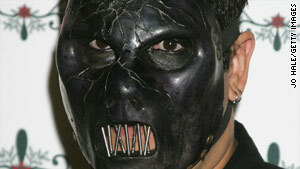 Slipknot bassist Paul Gray was 38. (CNN) -- The autopsy of Paul Gray, the bassist for the Grammy-winning metal band Slipknot, will be conducted Tuesday, authorities said. The autopsy, including toxicology tests, will allow medical examiners to determine Gray's preliminary cause of death. He was found dead Monday morning by staff at the TownePlace Suites in Des Moines, Iowa, said Sgt. Dave Disney of the Urbandale Police Department.